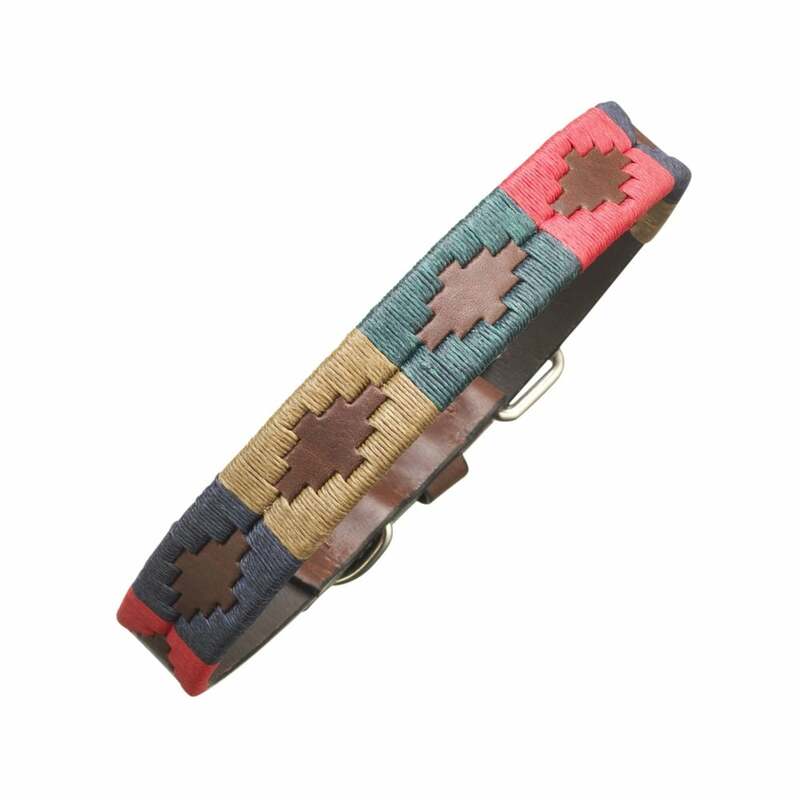 The Pampeano Navidad Dog Collar is a luxurious leather dog collar that has been hand-stitched with vibrantly coloured saddlery threads in gold, navy, red and racing green. The leather that has been used in this dog collar is exactly the same as that used on the stunning Argentinian Pampeano polo belts. It has been hand selected in Argentina and expertly vegetable-tanned to create a finished product that is rich and supple yet tough. The quality is unquestionable and consistent throughout all of Pampeano’s leather products. The Aztec pampa patterns and diamonds are inspired by Argentina, its stories, history, traditions and landscapes. They are all hand-stitched by skilled crafts people who have perfected the technique throughout the generations as it is passed down within their families. With all hand-made products, you are getting a true piece of Argentina that is original and unique, making it that extra bit special with no two ever being quite the same.